The economic news today should be about the Fed and how its new chairman sounded at the press conference yesterday. Indeed, there has been some commentary on that, and it was largely good. But any Fed news has been overshadowed by the expected (now confirmed) announcement from the White House of a new round of tariffs on China. Markets have taken note by heading down, so that is what we will be discussing today. In some respects, we have seen this movie before—and quite recently. When the administration announce planned tariffs on steel and aluminum, markets dropped on fears of a trade war, only to largely bounce back. That bounce has proven justified, as subsequent exemptions and negotiations have shown that whatever the administration’s initial intentions, the actual impact was going to be much smaller. Even Trump himself, in selecting his new chief economic advisor, referred to tariffs as a “negotiating tactic.” Much of the concern, looking back, seems to have been misplaced. Is China a different story? 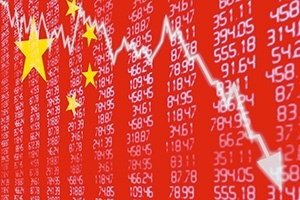 China, the current target, may be a different story. For starters, one of the reasons the administration pulled back on the steel and aluminum tariffs was that they would have hit our closest allies the hardest. You really don’t want to start a war—trade or otherwise—with your best friends. The second reason was that steel and aluminum tariffs would have cost many more jobs than they created. So, even on their own terms, it would have been a bad deal. As a negotiating tactic, it may make sense. But as actual policy? It was very risky, which made it easy to back off. Tariffs on Chinese goods are the direct opposite of the earlier tariffs. China is not an ally but rather an increasingly powerful competitor in both economic and military terms. We don’t mind imposing costs on China. Moreover, the goods that the new tariffs will be targeting are those that will do less damage to the U.S. economy and consumers, meaning the downside here will be much less. The administration has clearly learned from its last round, and it has designed these tariffs to avoid the major concerns raised then. On one hand, this is a good thing, since the tariffs will be more effective and less damaging and will therefore be easier to actually implement. From a policy perspective, this is exactly what the administration wants. On the other hand, while the immediate risks are lower, the mid- and long-term risks are actually higher. As I wrote three weeks ago, the short-term effects of tariffs can be damaging, and that is what the new tariffs are apparently designed to minimize. The second-order effects, however, are likely to be just as bad. According to the media today, for example, China is already preparing retaliatory tariffs designed to cause damage to the U.S. economy, as well as political damage to states that supported President Trump. The problem with starting a war is that both sides get to play, and the other side likely won’t play fair. The economic damage from the tariffs, although lower, is certainly not zero. The damage will be real, it will probably be substantial, and it will mount over time. For companies that sell to China, or indeed any country outside the U.S., the effects are likely to be negative—which is why markets are reacting again. Even the best-case results would still be worse, economically, than where we are now. Just as with the last round of tariffs, it is not time to panic. This may very well turn out be a negotiating tactic again, in which case the damage is likely to be brief. Each time, though, the risks get higher. In this case, given the political incentives to keep hitting China, I think the risks are even higher than the last round.